In remote areas, belief that girls should be married off before they menstruate, is deeply rooted in the social psyche. BAJHANG, Feb 11: Kalpana Dhami of Dahabagar VDC - 3 was mischievous and playful as a child. Few girls in her locality would want to go to school, but she was among those who had a strong urge for going to schools with the boys. Her dream was never fulfilled. School was not far from her parent’s home. They were neither so poor that they could not afford her education. But Dhami was never able to get her foot inside the school because of the traditional mindset of her parents. They believed that daughters must be married off before they menstruate and therefore before she entered her teen years she was married off, Dhami shares now while trying to make sense of her parent’s decision. Her parents, however, are not the only who harbor such beliefs. Majority of the parents in rural communities of the district take these notions seriously. Because of this, early marriage and early motherhood are rampant in those areas. For Dhami it is normal to have one or more children at her age. At such a tender age, she struggles day and night to take care of the children and work in farms, tend to the cattle and even do all the domestic chores expected of a daughter in law. 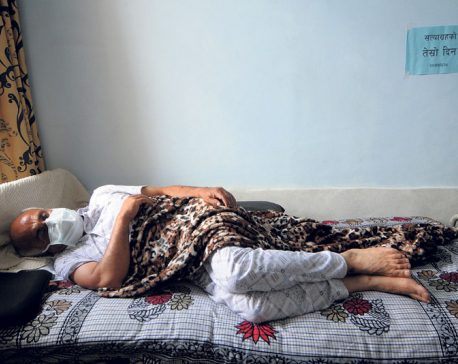 “My husband is a migrant worker. He visits home occasionally. Though I have a step mother-in-law at home, I have to work from dawn to dusk and perform all duties that I am supposed to do as a mother, as a daughter-in-law and as a farmer,” she narrated. Kitti Bohora of Sainpasela VDC - 7, also shares Dhami’s woes. Just 23 but she is already a mother of four children. She too was married at 12 and had her first baby at the age of 14. “I live alone with my four children. As my husband works in India, I am the one who has to look after our children and do all the chores,” Bohora said adding that the life has been very difficult at times. Putali Dhami of Matela VDC - 7 is an expectant mother. She was forced to drop out of school by her parents from 5th grade. She was of ‘marriageable age’ and had to be married off. The 14-year-old stated that she is worried about her future. “I should have been going to school at this age. But my parents married me off so early. I don’t know what I will do?” she said while waiting her turn for health checkup at the local health post’s maternity clinic. Leela Ghale, Chief at the District Women and Children Office (DWCO), said that the scenario of child marriage and teen-age pregnancy across the district is shocking. Parents are so superstitious that they literally look like people of last century, he remarked. 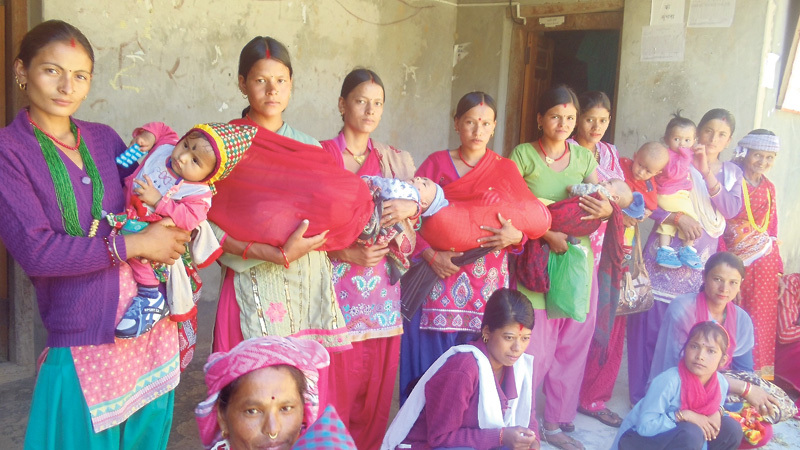 Early marriage and motherhood has taken serious toll on women’s health in the district, Bhanubhakta Joshi, a health professional said. Reflecting on his observations, he said that both children and mothers suffer from poor health. “People are gradually becoming aware about these issues, but the awareness is spreading at a very slow pace. And if actions are not taken to expedite the spread, it is going to take years to wipe out such beliefs and practices,” he opined.